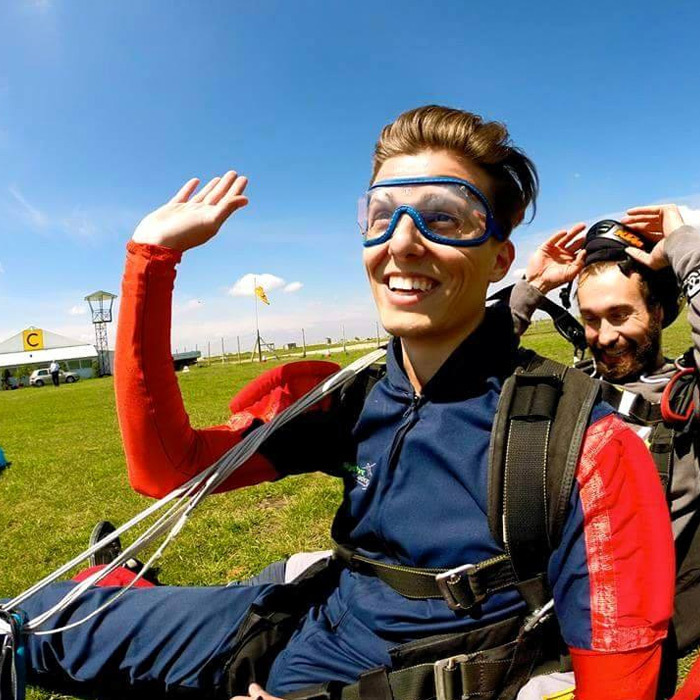 As a parachutist in a tandem jump you are practically a student and not a passenger. This is because there are things you need to do during the jump to help the whole process work smoothly. This includes putting the body in the correct position for the exit, maintaining an arched position during the free fall and lifting the landing legs. You will learn about your responsibilities and everything about the equipment and process itself, during a course that takes about 20-30 minutes. This is the great moment! Once your turn comes, you will be invited to go to your instructor who will prepare you with a suit and gloves (if it's cold), your glasses and your harness. You will then go to the plane and get on with the instructor. You will also be joined by other paratroopers. Climbing to altitude is enjoyable. 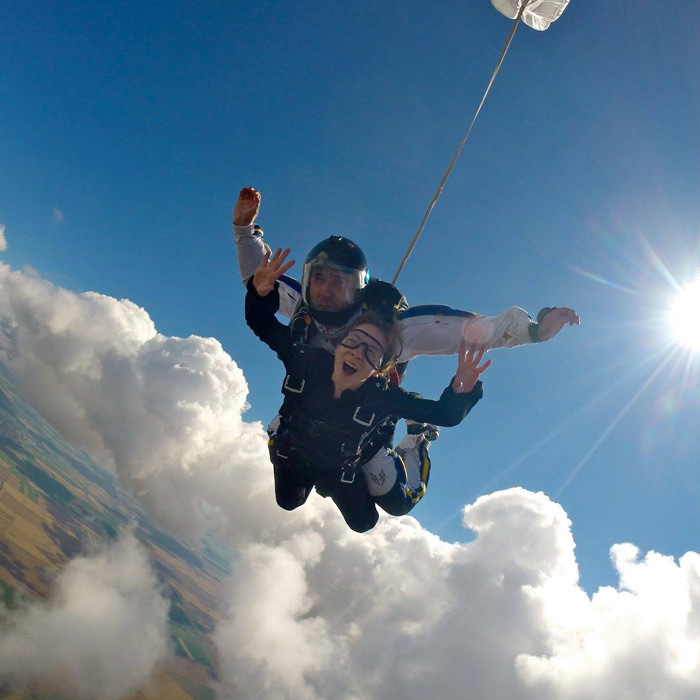 You will probably feel emotions at this time, but you will have your instructor, parachutist colleagues, and great window views to distract you from them. Once we reach the exit height, the qualified parachutist will begin to head towards the open door now. Next, it's your turn. Your instructor will catch you, so you two are fully attached and you will go to the door together. Then ... jump! The moment you leave the plane and go into the air is indescribable. The wind is piercing you. The sensations will be at an all time high. You reach the end speed (the fastest speed you will fall) and you feel like you're floating. It's really something you've never experienced. 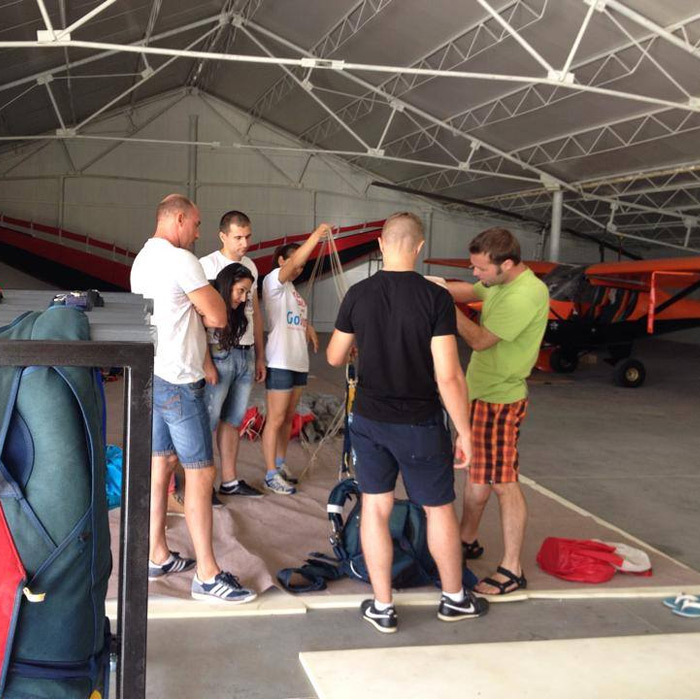 When the time comes, your instructor will open the parachute. At this point, everything is slowing down and resting. You can breathe and talk to the instructor if you want. The surroundings are stunning and you'll have about 5-6 minutes to enjoy them as you travel back to earth. 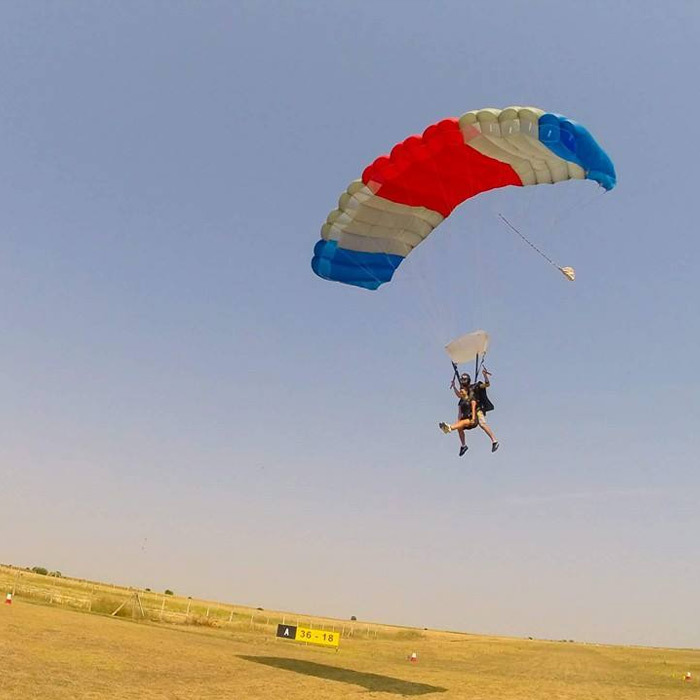 For landing, the instructor will bring the parachute at the slowest speed, so expect an easy arrival. You just have to raise your feet and the instructor will assure your landing. Then you will be disconnected from the instructor, and together you will return to the audience where your family or friends will be waiting for you. Poți alege să ai un videoclip realizat din saltul tau, astfel încât să-l poți arăta familiei și prietenilor Pentru a face acest lucru, instructorul va sări cu o cameră atașată la încheietură pentru a surprinde toată experiența căderii libere și din timpul plutirii.